It’s common to say that retirement is U-shaped – you spend a lot of money at the start of your retirement, while you’ve still got your health and you’re enjoying your new-found free time. Obvious expenditure includes travel, new cars, and renovations. Over time, however, your needs and wants become more modest, resulting in your expenses falling and plateauing. The uptick in expenditure occurs near the end of your life as your health deteriorates and you become more dependent on others for day-to-day living. Planning for retirement involves a great deal of uncertainty and one of the big uncertainties relates to your health. It’s valuable to know what you might be in for. The purpose of this article is to give a rough overview of what you can expect once you get to this stage – where they cannot live independently and safely supported by the community. This is where long-term residential care becomes relevant. In the scheme of things, we have a pretty good system relating to residential care in New Zealand. At the very least, it could be a lot worse. In most cases, you’ll be provided with care, whether you have the resources to pay for them or not. So from that perspective, you should rest easy. Another good thing about the New Zealand system is that even if you have the resources to pay for care and are assessed as needing it, there is a cap on what you’ll pay. As at 1 July 2017, the cap on basic costs associated with residential care in Christchurch was $1,005.90 per week ($52,300 per year). Throughout New Zealand, it varies from $973.91 to $1,062.95. This covers accommodation, food, laundry, nursing, GP visits, GP-prescribed medications and health care, etc. There can be additional costs. For example, some homes will charge extra for rooms with ensuites, extra space, or a room with a view. There can also be additional costs associated with premium meals or entertainment. My understanding is that these costs often range from $5 to $25 per day ($1,820 to $9,100 per year). For the sake of simplicity, let’s round it to $9,000 per year for a total of, say, $61,000. On top of this are basics of living such as toiletries, glasses, hearing aids, dental expenses, and haircuts. Telephone and subscription services (eg Sky, newspapers, magazines) are extra. So is transport that isn’t health-related. Specialist medical costs that aren’t covered by the public system or ACC are also additional. Let’s face it: once you’re at the stage where you need residential care, your lifestyle costs aren’t likely to be substantial. Let’s put this at $9,000 per year and we get to an even $70,000. Realistically, the cost of living for someone in this situation is likely to be somewhere in the vicinity of $55,000 and $70,000. $70,000 or even $55,000 per year sounds like a lot. And for many people, it is. However, it’s worth noting that if you go into care, if you’re over 65 you’re likely to receive NZ Super. The current standard rate is $390.20 per week, or $20,290.40 per year. This reduces the $70,000 annual figure down to approximately $50,000, and $55,000 to $35,000. The reality is, most people don’t live long once they’re assessed as needing residential care. In 2015 the New Zealand Aged Care Association (NZACA) indicated that the average length of stay for someone in residential care ranges from 75 to 85 weeks (with the average stay in dementia care facilities being 75 weeks). Assuming you’re “average” and stay in care for 85 weeks, you’re looking at having costs in the vicinity of $60,000 to $85,000. In any case, it would be rare for someone to spend hundreds of thousands of dollars in care costs. In simple terms, if the value of your assets are less than $225,000 (as at 1 July 2017), the Government is likely to pay some or all of your residential care costs. If your assets are below this threshold, you will be assessed on your income (including “deprived” income – more on that below). You will then be assessed as having to make an income contribution. As well as providing for residential care costs, the Government will also provide you with an allowance of $43.93 per week and a clothing allowance of $275.50 per year. With respect to the asset and income tests that determine your eligibility to residential care subsidies, there are a lot of fish hooks. For example, if you’ve given away assets, or sold assets for less than they were worth, you may be taken to have “deprived” yourself of these assets and will be assessed as having these asset and/or this income as if the deprivation did not occur. In large part, this is to ensure that people who would otherwise have been able to pay for their residential care don’t give away all their money to family and loved ones. For this reason – among many – it pays to get legal advice before entering into a transaction that might impact your financial situation substantially, such as lending or giving money to children for a house deposit. Ultimately, my advice is to get into a position where residential care subsidies aren’t an issue for you. The shortfall after NZ super is likely to be in the vicinity of $35,000 per year, with maybe an additional $15,000 per year in extras. For many people planning well for retirement, this isn’t out of the ordinary expenditure and may even represent a reduction in expenses. You could argue that retirement in New Zealand isn’t quite as U-shaped as it is elsewhere. Furthermore, if you’re in residential care, it’s likely you won’t be there for many years. It is rare for someone in New Zealand to spend hundreds of thousands of dollars on residential care costs. Ideally, you want to be in a position where you have that amount of money still available once you’re at the stage of needing residential care. If you look like you’ll be on the margin, seek legal advice sooner than later. The rules relating to deprivation are usually more lenient in relation to assets gifted more than 5 years before you need care. Lawyers with experience in this area will usually have some good suggestions for how to improve your situation. They will be able to point out assets that aren’t considered for the means tests. This includes, for example, pre-paid funeral plans of up to $10,000 per person. 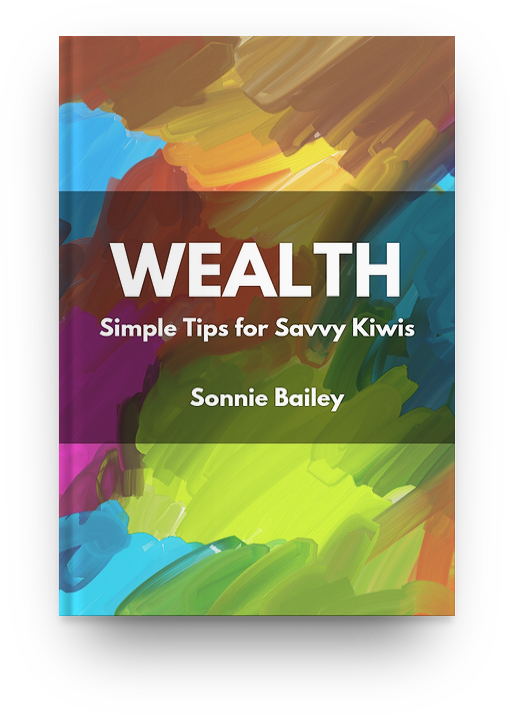 In some cases, the value of your contents, furniture, jewellery, and family taonga are also excluded. They may also point to you being able to pay a certain amount to people who have cared for you in the years prior to your admission to residential care. Of course, all of this can change! The provision of residential care; the maximum costs associated with it; access to NZ Super; the asset threshold and income calculations; and what constitutes deprivation are all subject to change. This is known as “regulatory risk”. Although the contents of this article are relevant at this point in time, it can – and almost certainly will – change. The possibility that this may change is yet another uncertainty we need to factor in when planning for retirement. I hope you found this useful! I am no longer a practicing lawyer so am not keeping up with all of the nuances in the same way as I would have while practicing. Although I can discuss some of the financial aspects relating to planning for retirement and potentially needing residential care, I recommend seeking legal advice in this area. I know many lawyers who have a very good understanding of what can be quite an esoteric area of law – let me know if you’d like a recommendation.